The story starts of as three boys, Jack Martin, Peterkin Gay, and Ralph Rover set out to sail to the Pacific Ocean on a ship named The Arrow. Jack Martin, the oldest of the three boys was known to be the most knowledgeable. Ralph Rover was an average person who had the passion to be a marine when he grew up. Peterkin, the youngest, was a thirteen year old whose attitude was diplomatic. Eventually, The Arrow faces a indestructible gale causing the captain and his crew to sink deep into the Pacific. 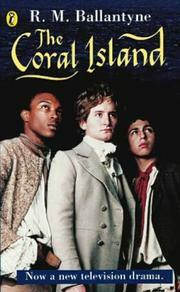 Surviving the shipwreck, the three boys are stranded on an island which showed no signs of habitat. A few weeks later, Jack meets Tararo and his daughter Avatea who had been wanting to convert to Christianity, but the chief was against it. Tararo thanks the boys and leaves. A few days later, a group of pirates arrive. Unfortunately, Ralph gets captivated which caused the ship to sail away. After landing on the island of Emo, Bill, Ralph’s partner and Ralph manage to escape the island by stealing the pirate ship. However, Bloody Bill dies due to affliction. Ralph sails back to the Coral Island picking up his friends and heads back to the island of Mango knowing that Avatea was not Tararo’s daughter and that she was being held as a hostage. On this island, Ralph learns about the sacrifice of humans. The group sails to the island of Mango and reforms Christianity between Avatea and Tararo. When I first started reading this book, I felt the author was trying to mainly stress more on the key details rather than the conflict of the first half of the story. The first half of the book dealt with how the three boys survive on the island. There was no real adventure going on in the first half due to the three group of boys trying to discover new features of the island. The action started to slowly rise from the second part of the book because that was when the pirates arrived. I was shortly shocked by the human sacrifice done in this book. The setting of this book does not stay at one place but rather travels around back and forth by islands. The main issue for young readers of this book is the strong vocabulary and sentence structure being used, but anyone can read this book. In my opinion, Puffin Classics cover the best adventurous books. I rate this book nine out of ten stars. It is one of the best adventurous books I ever read. 1. What was one thing Ralph Rover promised his mother before sailing into the sea? 2. After being stuck on the Coral island, which person of the group leads everyone? 3. After scraping out the fungus out on a rock, what initial does the group find? 4. What is another name for the banian tree? 5. What is the main purpose of the Water Garden? 6. Throughout the whole story, why does Peterkin feel left out? 7. What does the group discover after all about the suspicious island? 8. Due to Jack being the eldest in the group, what was his reaction to the group of prisoners? 9. After discovering a cave beneath the rock, what does Jack name it? 10. After being captured by the ship, what makes Ralph think that it is possesed by pirates? 11. What plan do Ralph and Bill formulate in order to escape the island of Emo? 12. What was the result of the musket being placed near the side of the tree? 13. What friend of Ralph dies during the voyage back to the Coral Island? 14. What do Ralph, Peterkin, and Jack plan before setting their voyage? 15. How is the conflict resolved at the end of the story?